Anthropogenic disturbance may affect animal behaviour and should generally be minimised. We examined how anthropogenic disturbance (24 h food deprivation) affected circadian rhythms in laboratory mussels Mytilus edulis exposed to natural light in the absence of tides. Repeated measures data were collected on mussel gape angle, exhalant pumping and valve adduction using a Hall sensor system over eight consecutive 24 h periods when exposed to two feeding conditions after 24 h food deprivation. Mussels (fed once per day at either midday or midnight) exposed to natural light showed a clear day–night rhythm with increased nocturnal activity: significantly greater gape angle, increased exhalant pumping and had significantly higher valve adduction rates. However, circadian rhythms were less clear directly after anthropogenic food deprivation, in terms of the circadian rhythm in gape angle becoming significantly more apparent over the following days. Unlike mussels fed at midnight, those fed at midday displayed no significant change in gape angle from the hour before to the hour after they were fed, i.e. mussels given food at midday reacted to this food less than mussels fed at midnight. 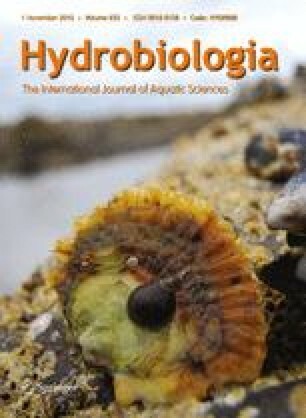 We suggest that independent of feeding time, laboratory mussels exposed to natural light and free from anthropogenic disturbance increase feeding activity at night because their circadian rhythms are strongly influenced by light levels. This study emphasises that the behaviour of animals in the laboratory and in the wild can be altered by anthropogenic disturbances such as vibrations caused by experimental setups and artificial illumination at night. We are most grateful to Jonathan Green, Graeme Hays, Martin Lilley and James Wilson for help during the study. This work was funded by the European Social Fund and Deep Dock Ltd.
Robson, A. A., C. Garcia de Leaniz, R. P. Wilson & L. G. Halsey, 2010. Behavioural adaptations of mussels to varying levels of food availability and predation risk. Journal of Molluscan Studies. doi: 10.1093/mollus/eyq025.